BUFF - the leading film festival for diversity in the world - has found a new home for its annual showpiece after BT agreed to sponsor the seven day event for 2017. BT’s purpose is to use the power of communications to make a better world. It is one of the world’s leading providers of communications services and solutions, serving customers in 180 countries. Its principal activities include the provision of networked IT services globally; local, national and international telecommunications services to its customers for use at home, at work and on the move; broadband, TV and internet products and services; and converged fixed-mobile products and services. BT consists of six customer-facing lines of business: Consumer, EE, Business and Public Sector, Global Services, Wholesale and Ventures, and Openreach.For the year ended 31 March 2017, BT Group’s reported revenue was £24,062m with reported profit before taxation of £2,354m. British Telecommunications plc (BT) is a wholly-owned subsidiary of BT Group plc and encompasses virtually all businesses and assets of the BT Group. 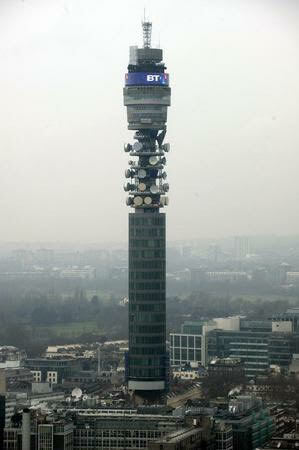 BT Group plc is listed on stock exchanges in London and New York. Please contact Jo Clare PR for further information in relation to the BT British Urban Film Festival 2017. This press release was distributed by ResponseSource Press Release Wire on behalf of British Urban Film Festival (BUFF enterprises) in the following categories: Entertainment & Arts, Business & Finance, Media & Marketing, for more information visit https://pressreleasewire.responsesource.com/about.